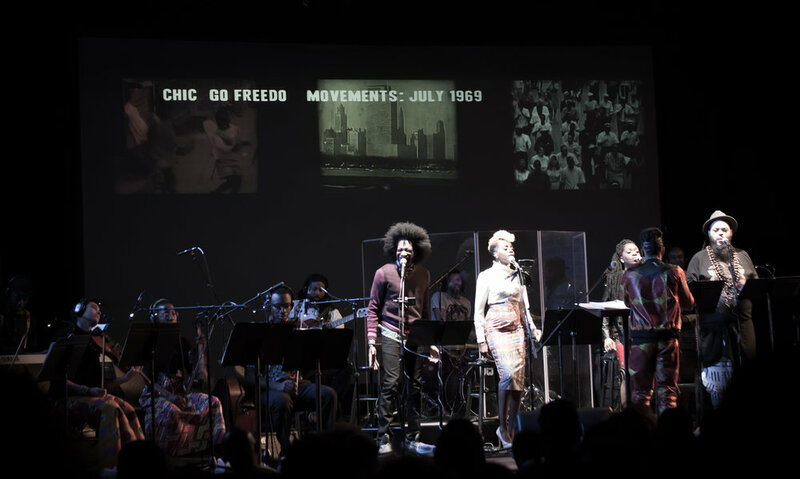 Soundtrack ‘63 is a multi-media, live music performance that takes the audience back in time with a cultural and artistic retrospective of the Civil Rights Movement from 1963 to the Black Lives Matter Movement. Originally produced by 651 ARTS and developed by Creative Director Chen Lo, Soundtrack ’63 premiered in 2013 as part of the Movement ’63 series. This performance of Soundtrack ‘63 will feature the untold and under-told stories of New Orleans’ civil rights history. It includes performances by local artists alongside commentary by Dr. Cornel West and Sonia Sanchez, and performances by Abiodun Oyewole of The Last Poets. Chen Lo and Asante Amin recreate the year 1963 in a live documentary with an 18-piece orchestra, live video installation, and a host of dynamic performance artists whose work breathes new life into the sights and sounds that shaped the music of an era—allowing a modern audience to re-think, re-new, and re-mix their conceptions of the past. An evening of bold, new dance works deeply rooted in Africanist aesthetics, pushing the bounds of performance. For two nights only, four black women choreographers—representing three generations of creative practice—share work at the intersection of tradition and experimentation. What results transcends category and centers on our humanity. Three generations of Black women choreographers from across the nation engage with New Orleans communities, culture bearers, and college students in an exploration of art making practices for social movement building. The choreographers spent one week in February teaching workshops across New Orleans, developing site-responsive performance at Xavier University, and sharing works-in-progress alongside local choreographers at Dancing Grounds. This cultural exchange culminates with this performance. Homecoming Project is a place-based storytelling performance series that engages collective thought partners through story circles, community dinners, performances and organizing actions to address the many inequities and challenges we face as a growing city. Reclaiming our connection as a community and recognizing our common humanity are critical first steps for our future.